Fiery dawn at Mount Shasta. The glow of morning on Mount Shasta is an incredible sight. The colors cast by the rising sun drench the mountain in pinks, reds, oranges and, ultimately, white. The sunrise is fleeting but for a brief moment the solitary mountain explodes in a technicolor display of staggering beauty. While sunset on Mount Shasta is easily enjoyed from the populated areas at the foot of the mountain, it can be difficult to appreciate the morning sunlight. This is because the east side of the volcano is difficult to observe and let finding a good vantage point from which to enjoy the spectacle can be challenging. Only the town of McCloud is particularly well positioned to enjoy the morning show. Nonetheless, for those who seek out a good vantage point, morning as an incredible time appreciate the awesome beauty of Mount Shasta. I hope those are good exclamation points! Oh, rest assured, they are! These are all stunning. Some of those photos look like a Maxfield Parrish painting. Wow. Thanks. That is high praise. He was an interesting cat. I’m heading to McCloud for tomorrow morning’s sunrise. 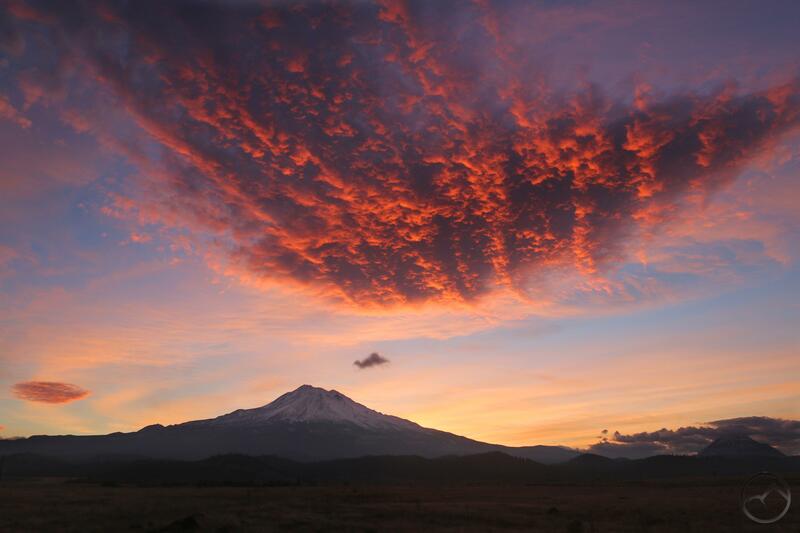 Where up there near McCloud would you suggest is the best vantage point for Shasta sunrises? If you are coming up to see Mount Shasta, I would not bother. There is a storm moving through the area. It dumped a foot of snow at my house today. There is no visibility and you will not be able to see Mount Shasta. Darn. Happen to be up here already, waiting out the rain at a hotel in Redding. Wasn’t too far of a drive though — live in the Bay Area, and Shasta is not new for me. I’ve been watching the weather forecasts looking for updates. Looks like there’s still a 40% chance of rain at sunrise in the morning, with the rain not expected to let up for the day until 9 am, but guess visibility is still going to be zilch. Time for a plan B and find something else to photograph tomorrow, and hit up Shasta again in a few months. 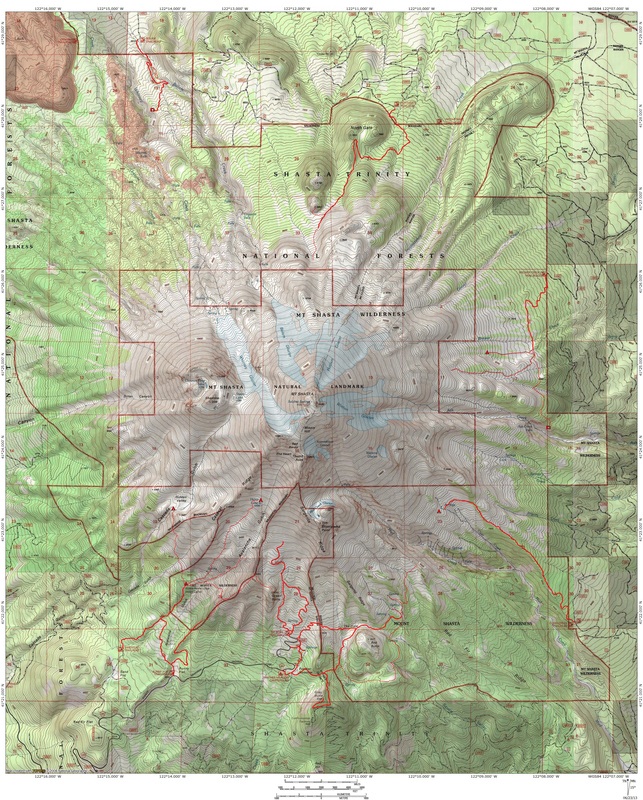 For future planning — where in McCloud would you recommend? Can’t wait for my annual visit. I love the area!